Celebrate all things Canadian with beaver, sugar shack, and Indian crafts and activities. 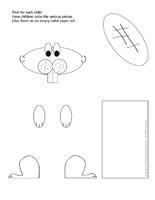 Practice writing, read our picture clue postcard with your group, and make a cute little beaver craft in honour of Canada Day. 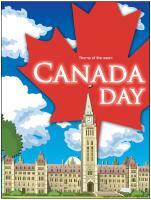 (Open thematic poster-Canada Day) Print, laminate, and decorate the walls of your daycare with all kinds of posters. (Open Canadian flag) Print. Use the flag to decorate your daycare, the cloakroom, the bathroom, the kitchen, etc. Wear a red and white checkered shirt to greet your group. (Open Canadian flag) Set a large piece of white fabric on the floor. Ask children to reproduce the Canadian flag on the fabric. Display your flag on the wall. 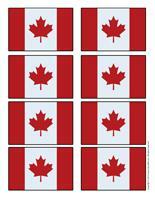 (Open Canadian flag-small) Print and hang the flags from the ceiling using fishing wire. Cut red and white strips of construction paper. Loop them together, alternating colors to form a garland. Hang the garland from the ceiling. Each morning, invite children to sit in a cardboard box which will represent a train. Tell them that they will explore Canada throughout the theme. Visit a different province or region every day, describing what they will see and discover just like a train director. Fill a suitcase with objects and pictures which represent the province or region you will be visiting each day. Open the suitcase and invite each child to pick an object. Children can then take turns presenting the objects, with your help of course. The pictures may be used as a memory game or to spark a conversation with your group. Use them to decorate your daycare or a specific thematic corner. (Open picture game-Canada Day) Print, laminate, and store in a Ziploc bag or in your thematic bin. 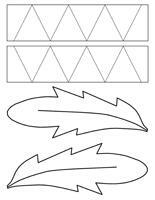 (Open writing activities-C like Canada) Print for each child or laminate for use with a dry-erase marker. Activity sheets are suggested for each theme. 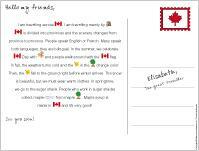 (Open activity sheets-Canada Day) Print and follow instructions. Make all toys related to means of transportation available. Which means of transportation can be used to visit Canada? Purchase a mat for small cars or create streets using colourful electrical tape (the streets can even go up on the walls). Use string to create highways and move them around each day. Create small models of towns and cities. Children can play with small cars. One model can represent the Prairies (field, roads, sand... a flat model). Another model can include snow-covered mountains to represent the Rockies. Fill a bin with horses and figurines to represent the RCMP. Display pictures on the wall to help children understand the concept. Horses may also be used to represent rodeos and the western style present in Alberta. Fish and boats to represent fishing which is very important in the Maritimes. Polar animals to represent the Nordic provinces. Decorate your arts & crafts area with pictures and images which represent the provinces or objects which are typically Canadian. Maple leaf stencils and toothbrush painting. Popsicle sticks which can be used to build a teepee or a sugar shack. Cardboard, recycled items, and plenty of imagination to create models which can be used in the construction and building blocks area. A map of Canada which can be decorated by your group. A variety of colourful arts and crafts materials which can be used to build teepees and totems to represent the importance of Amerindians in Canada. Using paper bags, make sleeveless cowboy vests. Help children cut them out and then let children decorate them. Several different colors of tissue paper to create a field of tulips like the one found in front of the Parliament building in Ottawa. Brown cardboard to make a sugar shack like the ones found in Quebec. A milk carton and recycled items can be used to make a boat, like the ones seen in the Maritimes. A model which represents the things found in nature across Canada. Styrofoam balls to represent the snow seen in Quebec and the Northern provinces such as the Northwest Territories and Yukon. Feathers can be used to reproduce an Indian chief's headdress. Your area can become a sugar shack. Deposit different sizes of buckets along with a few spouts in your area. If you do not have spouts, they can easily be purchased in most hardware stores and they are very inexpensive. Ask parents first, they may have some lying around at home. Have checkered shirts, rubber boots, and hunter hats available. Children will love to dress up. Spread a checkered tablecloth on the table and, if possible, add a wooden bench next to your table. 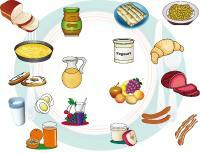 Offer related plastic food items such as ham, eggs, bread, etc. Pour dried beans and peas (different kinds and colors) in transparent containers and seal them with hot glue. Deposit syrup bottles in your area. There are basically no limits. Empty containers and metal cans, wooden spoons... Cut a giant maple tree out of cardboard or bring a real tree (a large branch which has fallen from a tree) inside. Set your tree in your role play area. Your role play area can also become a mountain cabin or lodge. A mat becomes a couch. Add a pretend fire and create a dining area complete with accessories. Deposit ski boots, winter boots, and hiking shoes in your area. Set up a picnic table, etc. Create a typical Amerindian home by setting up a tent or an oversized box (appliance box) to represent a teepee. Let children decorate their teepee with vibrant colors. Offer items which can be used for Indian costumes such as a vest, leather pants (suede), a hat, feathers, makeup, etc. Decorate your area with dream catchers and moccasins. Your area can be transformed to look like a rodeo ranch. Cowboy hats, jeans, shirts, vests, boots, and bandanas can be used to dress up like cowboys. A balance beam or bench can become a pretend mechanical horse. Pictures of horses can be displayed on the wall. Memory game related to Canada using educatall.com picture game. Memory game, lotto game, or other games involving animals, birds, plants, or trees found in Canada. Brown modeling dough with a maple scent and small wooden sticks. Card games using cards with the Canadian flag on one side. Offer colourful paper instead of plain white paper. Cards which can be colored. Pastel crayons which can be used to represent the northern lights which can be seen in northern latitudes. Books about Canada filled with pictures and illustrations. Tourism guides for each province, they can be ordered for free! A picture book showing Canadians at work or at play. A radio and headphones children can use to listen to Canadian music, Amerindian music, or western music. 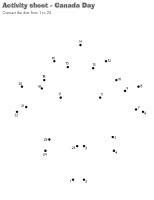 Explore the letter C like Canada. An obstacle course that children complete as if they were riding a train across Canada. Display pictures from each province along the way. Play a game of "The Amerindian chief says...". A container filled with soil and small cars. Children can pretend they are driving through the Rockies. A container filled with water, small boats, and fish to represent fishermen in the Maritimes. A container filled with hay or cereal to represent the Prairies. Use magnifying glasses to explore items found in nature. Admire autumn leaves and their changing colors. Observe the moss which grows on trees in northern regions. Manipulate compasses. Which way is North? Create a herbarium or place maple leaves between the pages of a book to dry. The word flashcards may be used to spark a conversation with your group, in your reading and writing area, or to identify your thematic bins. 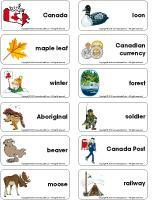 (Open word flashcards-Canada Day) Print. 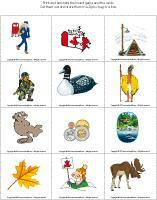 Canada, maple leaf, winter, Aboriginal, beaver, moose, loon, Canadian currency, forest, soldier, Canada Post, railway. (Open picture clue story-Postcard from Canada) Print. Sit in a circle with your group. Begin reading the story and pause each time there is a picture clue to give children the chance to guess the missing word. Using adhesive tape, draw a start line and a finish line, approximately 10 cm apart. Give each child a drinking straw or an empty toilet paper roll. These will act as propellers when children blow in them. If you prefer, you may also give them paper plates which can be waved to create wind. Each child must try to move a feather across the finish line using only their chosen propeller. Children can race two at a time. The first child to successfully cross his/her feather over the finish line can race with another child. Cut the feet off tights or nylons. Cut each leg into three sections. Braid the pieces together and tie them at the base using adhesive tape. Show children how they can wear the tights on their head to represent and Indian headdress. Set up a few tents (ask parents to bring their tent). Smaller tents can be set up indoors while larger tents can be set up in the backyard. Leave the tents' doors open. Inside each tent, deposit a few objects children can explore. One tent can contain books, another tent can contain musical instruments, and other one can contain items made by Aboriginals or from a specific province. Beavers slap their tail to communicate with other beavers. Outdoors, in a pool, encourage children to reproduce a rhythm by slapping their hands in water, much like beavers do with their tail. Provide several foam tubes (for swimming pools), chairs, etc. Children can use them to build beaver dams and huts. When they are done, they can play in their huts. Deposit five hula hoops on the floor, in a line (or trace five circles with rope). Children stand in a circle around the hula hoops which represent continents. Taking turns, they must jump on each continent to the sound of fast-paced music. When the music stops, if a child is standing on a continent, he must stay there until the music starts again. The game continues until all the children are on the same continent. This is a very important and popular sport in Canada. Organize a hockey game with your group. 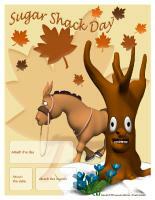 (Open perpetual calendar-Sugar Shack Day) Print, laminate, and display. Invite everyone to bring a checkered item to daycare (scarf, shirt, etc.). Serve maple leaf cookies at snack time and a real sugar shack lunch. Set a checkered tablecloth on the table. Pull children in a sled or a wagon. Serve taffy on snow at the end of the day. It is simple to make, bring a can of maple syrup to a boil and stir continuously. Use a candy thermometer. The taffy is ready when the temperature reaches 240°F. Pour on clean snow and serve. Add several items found at a sugar shack to your role play area. Offer buckets and spouts along with a checkered tablecloth, rubber boots, a checkered shirt, utensils, an apron, a rolling pin, etc. Add a wooden bench, a large basin, dish cloths, etc. We have prepared a sugar shack menu too. (Open menu-Sugar shack) Print and display. Create a pretend fire in the centre of your circle time area, in a tub, or on a small red carpet. Purchase a white paper tablecloth. With your group, cut red squares and glue them on the tablecloth to create your very own checkered tablecloth. Display pictures representing maple trees throughout the different seasons (with green leaves, with colourful leaves, without leaves, etc.). Since in certain parts of Canada, French is an important language, introduce your group to a few French words as you walk in your neighborhood. House: maison, Clouds: nuages, Tree: arbre, Street: rue, Grass: gazon, Birds: oiseaux, etc. Divide your group into teams and organize your own Olympic events. You will find several suggestions in the Winter Olympics theme. Use a large piece of fabric. Encourage children to paint and decorate it with poster paint and fabric markers. Attach a stick and you will have an original flag. Drape a white sheet over a table. Set a container filled with snow or ice in your igloo and add figurines and books about polar animals. Children will love playing in their very own igloo. (Open models-beaver) Print and hide the beavers throughout the daycare. Hide one beaver per child. When a child finds a beaver, he must deposit it on a table. Once all the beavers have been found, let children play with them or hide them again for another round. (Open game-Countries) Children take turns rolling the die and then moving their playing piece to the correct space on the board. When children roll a flag, they must name the country. They can then play again. The first child to reach the end of the game wins. 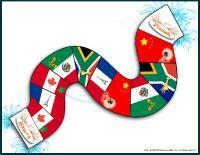 (Open magnifying glass game-Canada Day) Print and laminate the board game and the cards. Cut them out and store them in a box or in a Ziploc bag. Children pick a card and search for the item on the board game, using a magnifying glass. Once they have found the item, they deposit it in the correct square, on the board game. 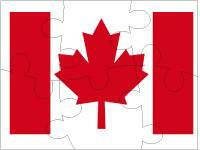 (Open puzzles-Canada Day) Print, laminate, and cut out. Children assemble the pieces to recreate each scene. 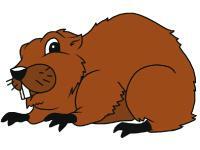 (Open game-Beaver) Print, laminate, and cut out the beaver. Glue it on the wall, at children's level. Give a laminated beaver tail to each child. Children take turns trying to attach the beaver tail as close to the right spot as possible while blindfolded. (Open activity sheets-Earth Day) Print for each child. Encourage children to follow the color code to color the continents. Purchase different flavors of tea and wet one tea bag of each kind. Deposit them in small containers. Encourage children to smell them and guess what kind of tea it is: strawberry, lemon, mint, etc. If you wish, let children manipulate the tea bags. During your afternoon snack time, prepare a mixture of water and lemon and pretend you are serving tea. Serve biscuits, and enjoy tea time with your group. Show them how to raise their pinky as they drink! Serve a variety of foods and treats made with maple syrup. Explain the steps involved to make maple products (water, syrup, butter, taffy, sugar). 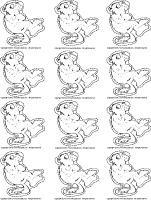 (Open craft-Beaver) Print for each child. Have children color the various pieces. When they are done, glue them on an empty toilet paper roll. Gather branches and sticks with your group. Let them paint them with poster paint and glitter. If you prefer, use the branches and sticks as paintbrushes. Once dry, children can glue them on a Styrofoam plate to represent a beaver hut. (Open Canadian flag-Black and white) Print for each child. Invite children to fill the flag with crumpled pieces of red and white tissue paper. Search for large rocks in the forest. Let children paint them with colourful poster paint. 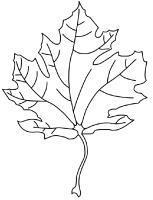 (Open craft-Maple leaf family) Print a maple leaf for each child. Invite them to create a maple leaf family simply by coloring their leaf, cutting it out, and gluing it on heavy cardboard. Once this is done, let them add eyes, a nose, and a mouth. (Open craft-Indian bandana) Print for each child. Have them cut out and color the pieces. When they are done, glue the feathers on the headband. Measure each child's head and staple the headband. If you prefer, use a strip of colourful construction paper. (Open craft-Horseshoe) Print on heavy cardboard (cereal box) and cut out. Wrap with aluminum paper. 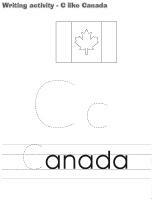 (Open coloring pages theme-Canada Day) Print for each child.